We’ve all seen those lists – best cities to live in, best cities for singles, best cities for millennials, best cities for foodies – the list goes on, literally. As a native Clevelander and lifelong believer in my city, it’s thrilling to see Cleveland mentioned amongst other metropolitan destinations as people discover (and rediscover) our magnificent city. We’re well on our way – occupancy is at 97% in Cleveland and we’re seeing a fascinating shift to urban living by people of all ages. Moving back into the urban core is both a national and international phenomenon. Millennials are looking to cut their commutes to live where they work and play while empty nesters are downsizing their living spaces in exchange for more convenient and flexible options. It’s an exciting time for urban redevelopment. 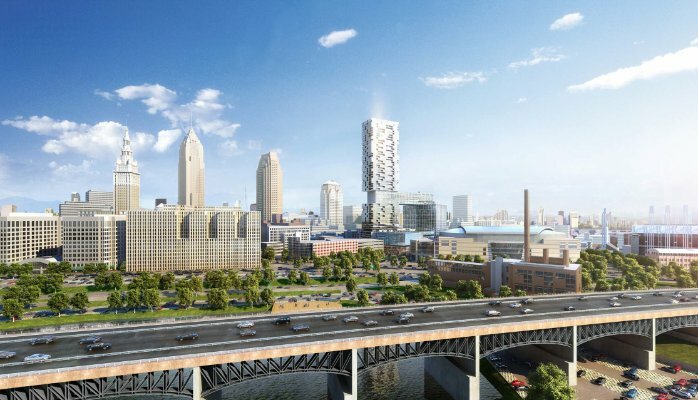 Stark is in the midst of several transformational projects that will lead Cleveland and other cities into the future and help keep those cities globally competitive. These vertically-integrated, mixed-use properties create densely-populated neighborhoods that seamlessly blend residential, retail, office and entertainment, resulting in dynamic districts with 24/7 activity. Creating these large-scale projects that are located in the right downtown locations near other economic generators and that also offer ample parking accommodations is an expensive endeavor; they cannot be accomplished without mutually beneficial public-private partnerships. This is where the creation of a TIF (tax increment financing) comes in. While there are various types of TIFs, generally speaking they finance the cost of public improvements utilizing the “increment” or the increase in taxable value created by the completed development. The outcomes are powerful. The creation of a TIF frees up necessary funds for construction and development. It makes sense for the public as it allows cities to maintain their current cash flows while bonding the increments income to build the expensive structural requirements necessary for high density development. Once the bond is paid off, the city receives the added cash flow. In essence, the TIF is an investment for the future that acts as a literal endowment. As an additional byproduct, successful developments will spur additional development, support local schools and generate substantial tax revenue. The ripple effect is positive both short-term and long-term for residents as well. Successful developments are vital to a city’s well-being, resulting in higher property values, better schools, increased tourism and just overall cooler places to live, because as it turns out, there are a lot of “best of” lists to keep up with.